This meal had only 550 calories which were fabulous as it means you can eat well and maintain a healthy lifestyle. 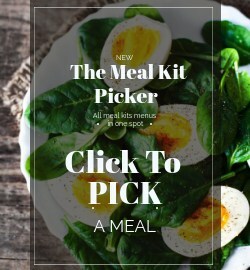 At the Meal Kit Review, we are strong believers in the fact that a good meal starts with great quality ingredients. This meal was a great example of that. The vegetables were amazing, and the pork tenderloins by Hello Fresh were soft and buttery and just beautiful. 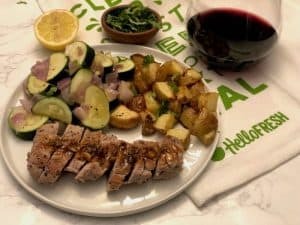 This roasted pork tenderloin dish was very easy to cook – all we had to do was roast the potatoes, red onion and zucchini. We then cooked the pork on a hot pan and roasted it in the oven as well. Then finally we made a demi-glace sauce. That’s it! Dinner was ready to serve in a little less than 30 minutes. 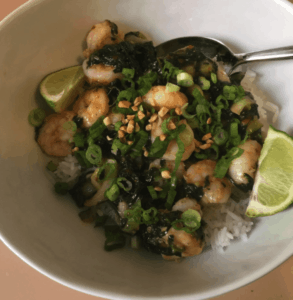 We loved the demi-glace sauce made with fried garlic, butter and a squeeze of lemon juice. Another great addition to the dish was a final squeeze of lemon juice to the vegetables. This added a lovely citrusy flavor to the tenderly roasted spuds. 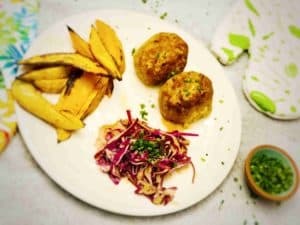 This delicious dinner meal is part of the new calories-smart menu offered by Hello Fresh. 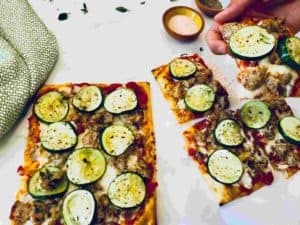 The new menu only includes meals with a relatively low-calorie count of around 600 calories per serving or less.